How is content curated in my subscribers' newsletters? Cerkl’s newsletter automation is powerful. Cerkl regularly collects and organizes your organization’s content and then distributes it. Many of our customers have asked, "how exactly does this magic happen?" To answer this question, we’ve put together a few points below to outline Cerkl’s newsletter algorithm. We hope this helps better inform your organization’s newsletter and marketing strategy. First and foremost - there are a variety of optional content settings that allow your Cerkl's administrators to control your content pieces. All unseen, unexpired content is then given an Engagement Score based on how related the story is to the subscribers' implicit and explicit interests. If Cerkl has no personalization or behavioral data on the subscriber, they will receive content that is trending with the rest of your subscriber base. Check your newsletter’s “Minimum Content" setting (Settings > Automated Email > Other Settings). This setting means that your newsletter won't send unless you have at least x new pieces of content available in your Cerkl for your subscribers to enjoy. We suggest 2 - 3 as a good starting point. 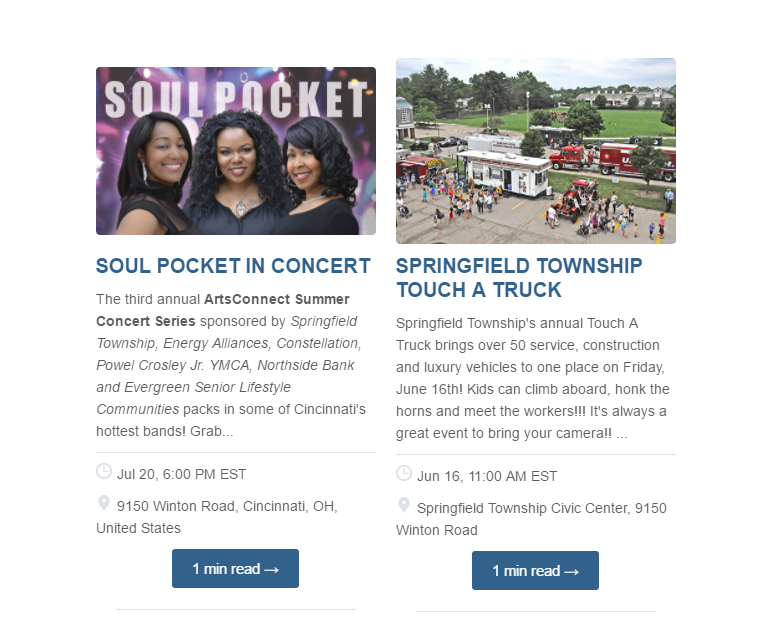 Cerkl newsletters allow up to nine pieces of content and five events. Cerkl’s machine learning is based on clicks, not opens. Cerkl is continuously learning about each person's interests based on what they click on within a newsletter or through Cerkl's Aptly plugin. Our Cerkl administrators love how our newsletters draw attention to their organization’s awesome events. Here are a few key points on how events are populated in newsletters. The “Upcoming Events” section does not show up in a subscriber’s very first newsletter. When a new event is added, it will first populate in the subscriber’s newsletter as a story - a strategy by design so events will be shown to each audience member based on how interested the subscriber likely is. To bring extra attention to your event, mark it as a “Top Story” to push the event to the top of your newsletter. In the second newsletter a subscriber receives, the event will be pulled into the "Upcoming Events" section. 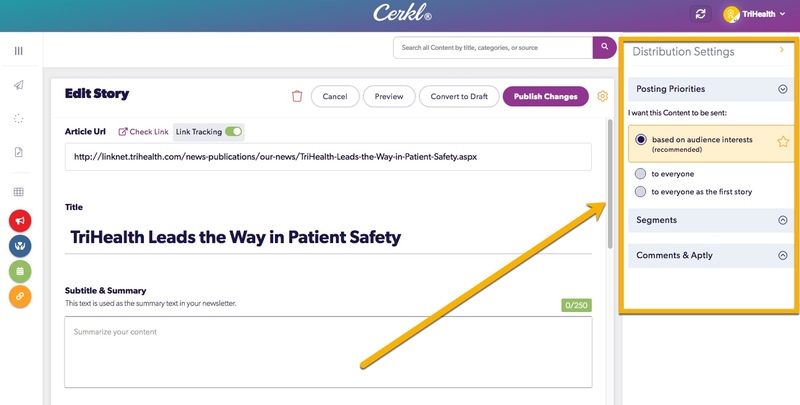 Tip: We recommend adding your events to Cerkl in advance of the send date to ensure that the event will show up as a story in your newsletter and then in the "Upcoming Events" section (for those subscribers on the default frequency schedule). For example, if your default frequency send is once a week, we recommend publishing your event at least two weeks before the event date for peak engagement.